After an 18 month legal battle, a federal judge finally approved AT&T’s takeover of Time Warner. The deal, which is worth $85.4 billion will be finalized sometime before June 20, as stated by AT&T. The Justice Department argued that the merger would result in reduced competition, higher prices and lower product quality, but the court was not able to find enough evidence for these claims. AT&T’s shares fell 2.7% and Time Warner’s shares rose 4.5% after the decision was announced. With the acquisition, AT&T aims to use the content owned by Time Warner for its streaming service DurecTV Now, which it acquired for $49 million in 2015. Time Warner’s content library includes HBO, DC Entertainment as well as channels like CNN and much more. The move is seen by many as a way to answer the diminishing demand for television streaming services. Large internet-based companies like Google and Netflix offer content that can be streamed online and accessed through various devices. As the investment in these types of content grows, the quality is being improved so people do not find it necessary to turn on their TVs to enjoy an entertaining movie or a show. Representatives from AT&T expressed their satisfaction with the court’s decision. 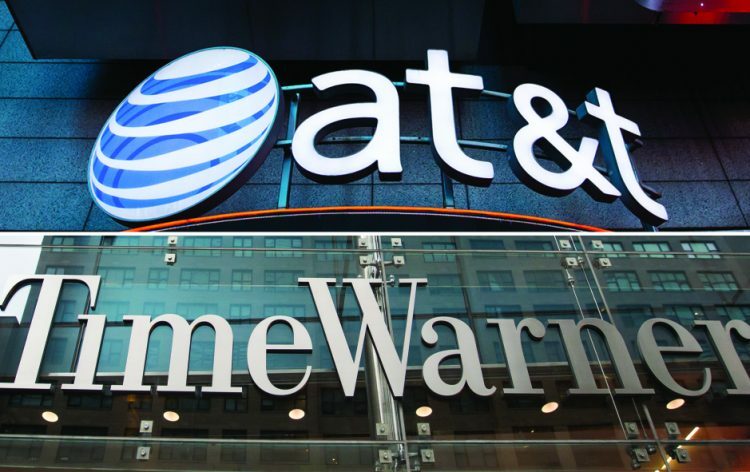 David McAtee, general counsel of the company commented: “We are pleased that, after conducting a full and fair trial on the merits, the Court has categorically rejected the government’s lawsuit to block our merger with Time Warner”. The Justice Department, on the other hand, continues to assert that the deal will have negative consequences for the market. Assistant Attorney General, Makan Delrahim said in a statement: “We continue to believe that the pay-TV market will be less competitive and less innovative as a result of the proposed merger between AT&T and Time Warner. We will closely review the court’s opinion and consider next steps in light of our commitment to preserving competition for the benefit of American consumers”. Court’s decision could cause a chain of acquisitions in the industry. The deal will likely affect the future business environment as well, as large telecommunication companies will seek to acquire content providers. For example, Comcast is likely to bid on 21 Century Fox. It will be competing against Walt Disney, which Fox has already started negotiations with. The effect of the decision on these companies is evidenced by the change in share prices. Fox’s shares rose 7% as the investors are expecting Comcast and Disney to start competing for its assets. Walt Disney shares dropped 1.8% and Comcast share prices saw a decrease of over 4%. Senator Richard Blumenthal commented on the issue, saying: “Consumers should fear a cascade of unchecked mergers and acquisitions to further consolidate the telecom industry resulting in less choice, fewer competitors and higher prices”.